Had my first hunt out of my krivoman this weekend. I hunted with the window in my main shooting lane open. The deer seemed to notice and did not like it.So my next hunt I left it closed and the deer were fine after that. So those of you that hunt out of this style blind, what are some tricks you use. If you leave your window closed, how do you get it opened when ready to shoot and not spook your deer. Pain the window black and keep it open when you are there and make sure and wear black and maybe paint the inside of the blind black. Keep the black hole in effect. I have the 4 window blind, I only open ( but not locked all the way back ) the one facing feeder and set off to the side of the open window, where I have to slid to the edge of chair to shoot. Also I have the front of mine tilted some to keep window to where it will stay open half way once opened. I still have deer come in looking at the blind / open window, but never seems to bother em cause they cant really see me, since I am between windows. If that makes since. I painted the inside of mine black and were a Black long sleeve shirt. I had the same experience you did when I first got mine. I put window screen on it and also painted the windows black. This has helped a bunch. I also covered the inside of mine with egg crate foam, more because of my kids kicking the walls, but you get the blackout effect. 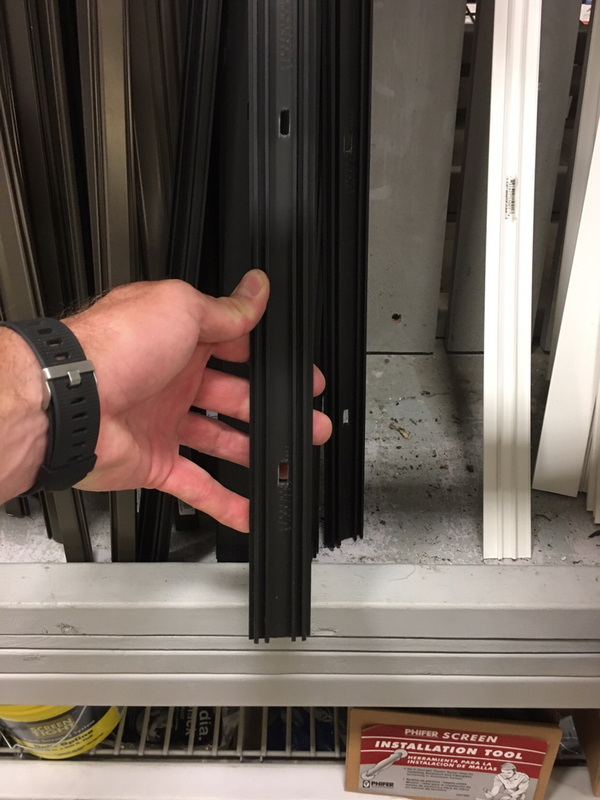 I have hunted out of Krivo blinds for 6 years now. Mine all have 3 windows. I found that the deer did not like the reflection of the glass on the closed windows. I only open and shoot out of the middle window. I took cardboard and painted it flat black to cover the outside of the two closed windows. I cut a small peep hole in the cardboard so i can see deer coming. The window i shoot out of is also covered when i leave. All 3 windows look the same even when one is open. You can probably get away with opening a closed window on hogs but i doubt you could pull it off on a mature deer. Best to leave your shooting window open when hunting. Sit as far back as you can inside. I rarely have a deer look at me. Many of my longbow shots are inside 10 yards. Killed an axis last year at 4 yards. Stand where the deer will be and look at your Krivo. Make the windows all look the same. Good luck. I keep my windows closed while hunting. They definitely notice when it looks different. Also, it keeps my scent inside. My bow window opens silently. It’s a Deerview tinted hinged window. I did notice something interesting tho. When hunting pigs during the warmer months I opened up all the windows in a feeble attempt to keep cool and they regularly don’t come in. They know the difference. They step out of the nearby woods, take about 3 steps and turn around not to be seen again. They are definitely smarter then they look. I haven’t had any issues with open windows at 3 diffeeent leases I have hunted with krivos. Open or shut. I would paint the inside of the blind, flat black. Then I would either paint the windows the same or make some black curtains to give the windows the "black hole" effect. I would also wear a black long sleeve shirt, hat and if needed, black face paint. Doing this makes the windows look the same open or closed and wearing the black conceals your movement when you are positioning for a shot. This is what I do and it works for me. Before doing all of this I was noticing the same thing as you. I also will not make eye contact with a deer either but I do leave my cell phone on. Just paint inside black, no need to paint windows black as it will give it a black hole effect without painting glass. I have also used window screen like the ones used for sun screens on houses. If they are freaking because you have a window open, it is more likely your stank swirling in the air versus any kind of credit we give a deer for knowing what a window is. That's my theory anyway..
My deer and pigs don't seem to react to a deer view window being open.. This, also only time you can tell if a window is open or closed is if you are facing the sun, it will highlight the green inside or who is in there. If sun is anywhere but straight in front windows look dark open or closed. Video still shot from feeder this weekend. Middle two windows are open two sides closed. You can catch a little glare from the setting sun on the left but other than that you can’t see in. There is two men inside, both in black. Dark camo is fine, dark green, grey, brown, just not light colors or white skin. Really even if you are sitting back in the blind and the sun is behind you colors don’t matter much. So do you paint yours inside? I don’t, I’ve never had an issue, that blind in pic is green inside just like the outside and it looks black. I took a $4 black towel from walmart and cut it into 1/3's and rolled the top up in a wrap around lead decoy weight and zip tied the weight in place. I hang them on the top shelf part of the window frames covering up the windows I don't use to make it darker inside and use one folded up to make the shooting hole smaller! Make's a big difference IMO. It's black inside the blind now. I always hunt with just 1 window open. This sounds like a good idea. Think I will be doing this. Thank you guys for all the input. I have some good ideas to try now. Anyone else post um up. Thanks again guys. I believe this is true. Mine faces east and the deer tend to stare at the open window in the mornings much more than they do in the afternoon when the sun is behind me. I have the 3 window version and hunt with only the center one open. I have thought about leaving it closed until I want to shoot but I can't see getting away with that much movement with deer 15 yards away - especially if there are several sets of eyes. I have also thought about doing something to make it look the same open or closed - maybe painting the outside of the glass flat black is the answer. wear dark clothes and be still and quiet. works every time. Any pointers for applying the egg crate foam? Where did you buy it? Originally, we used spray glue to attach it to the walls, bad idea, we got high and sticky but it didn't hold the crate to the walls very good, well, only for a week or so. 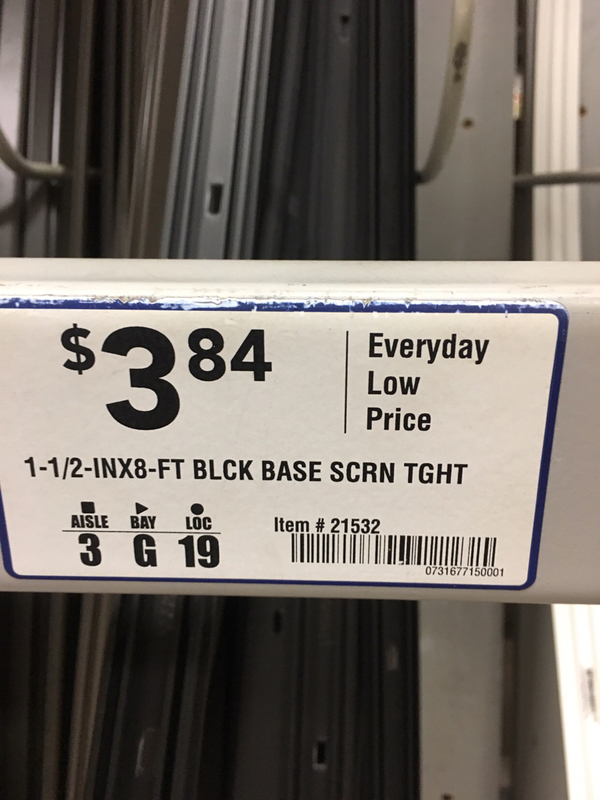 I ended up using plastics strips I got at Lowes's, they are over by the window screen or garage door parts, can't recall. I used some self tapping screws and just screwed the plastic to the wall, trapping the egg crate between the wall and the plastic strips. Shameless, I know..only pic I got of the blind. My blind is east of the pen and the afternoon sun shining on the windows is a problem. I keep all windows shut and airtight as possible until time to shoot, and I only shoot out of 2 of the 3. Opening the window is the make or break moment, not drawing my bow. I added camo net to give the windows a little depth and shade for when I open it. Interesting topic, I always wondered how others hunted these blinds. And I throw my Ozonics on the top of the blind, pouring ozone down over that front window. 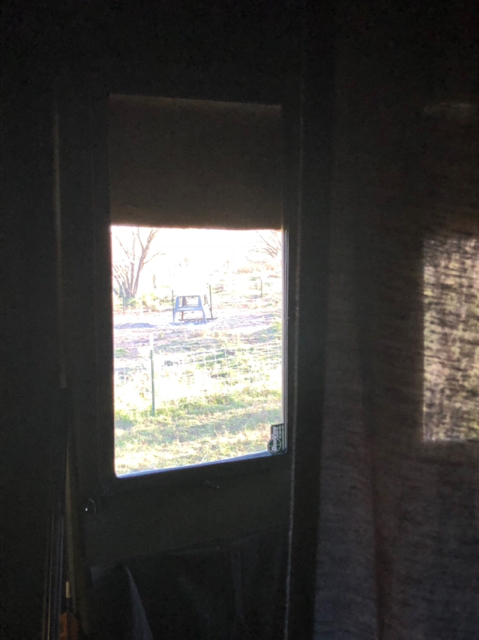 My blind is elevated on a 5' platform and I usually keep 1 window all the way open, sit in the very back of the blind (my back is basically against the door). The deer are not bothered at all they don't bust me. I do also wear black on my face and dark clothing as well. All of my blinds face East..the only time I have ever had an issue is if I try to open a window once deer are in front. I believe they see the reflection change as the window opens. So now I just get in and open all windows or just the one I want to shoot out of before any deer show up. I hunt with my main shooting window open the entire hunt with no issues. The only time I will leave all windows closed is if it’s really cold or the wind is swirling. Some good ideas. I keep only my shooting window open, sit in the back, and wear a face mask. Not much problem doing this with hand corn usually at 10-12 yards for my kids. If they don’t hear the arrow sliding through the whisker biskit on the draw they are in trouble. no need to paint inside of blind. They are dark. No sun comes through blinds. So even though blind is dark green, inside it is just dark. My deer do not seem to care much about the windows opened or closed. If you are pointing east or direct in the sun I bet there is a glair on them and when opened there is nothing. Might try the towel trick. Sounded interesting. Kinda defeats the purpose of having glass windows to just paint them or am I missing what your saying? Not sure I'll get around to doing it this season but I'm thinking about insulating a couple of my tank blinds with some of those anti-fatigue/workout foam mats. Much cheaper than the egg crate. The ones at costco are relatively pliable and should help provide some insulation from the sun. I would probably uss a staple gun to secure them to the tank along with some industrial adhesive like liquid nails. That was my first thought as well - I want to be able to see out of the closed windows. However I do think the deer (on my place anyway) notice something is different when a window is open. I only open the middle window anyway so maybe painting it flat black would make it look the same open or closed. I noticed last year that for a couple weeks in December the early morning sun shines directly on one of my closed windows. Even with the tint it illuminates the interior of the blind considerably. I made a fold down curtain to solve that problem this year. But my second theory is if a window is open you are usually in there observing watching a deer's every single move. If he looks at the blind we assume its because he thinks a window is open....when in fact its probably what they do every time we are not there as well. We are there watching so of course we are going to associate it with a window being open. My deer look at my blind all the time and go back to eating. 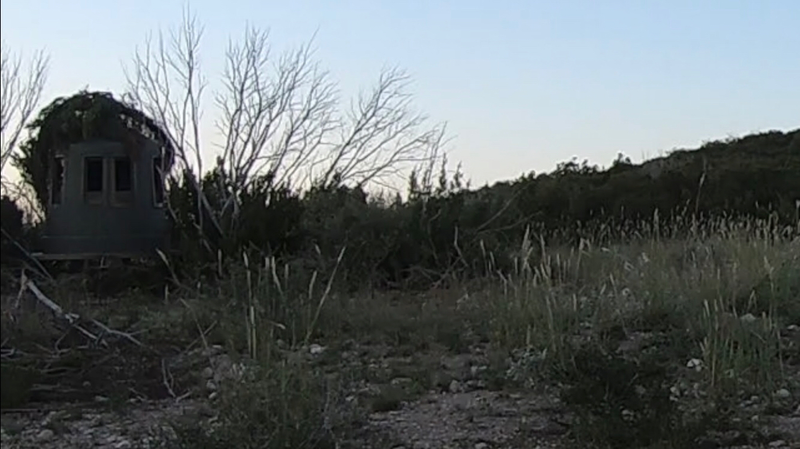 Our trail cameras don't catch a deer every second so the deer probably do that same thing while we are not there. Its only when the wind is wrong or swirling do they start acting a little funny at my place.. I have black curtains on my windows too but that's more so I can use a red light in my blind getting ready or putting my stuff up.....I also use it to cut down on light entering my blind from my other viewing windows Instead of sliding the curtain all the way over, I slide them over just enough so I can see movement and not let in any more light than I need. The curtains were never about whether a deer can tell if its open or not. Last edited by Smart; 10-02-2018 at 10:08 AM. I agree with not painting the windows like stated above if you want to be able to see out of them. That kinda defeats the purpose. 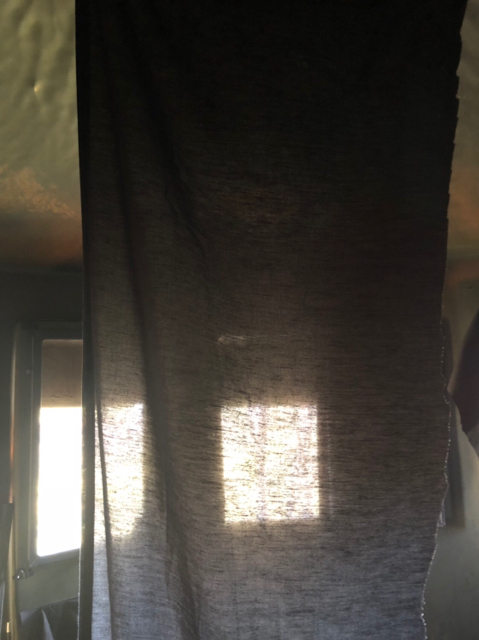 I actually placed smoke tinted plexi glass/lexan in the middle of boards I use to close my windows on my homemade stuff, so I could see out of them when closed on super cold days or days I am struggling with keeping my scent contained well due to the wind direction. If you are OCD like me lol, I do try to camo the outside of my blind to include the windows. I don't have a picture of my blind with the deerview windows handy but I do have one of my homemade windows version. It kinda camos the window's shape into not looking like a couple of rectangles although I think we give deer too much credit in that arena too. It does make me feel more confident, so I go with it. And as stated above all my blinds face east..
Last edited by Smart; 10-02-2018 at 10:29 AM. Same for me however my blind faces southeast. No issues open or closed. I sit all the way in the back. I spray a light layer of flat black on my widows, it knows the glare off but you can still see through them, kind of like looking through the mesh in a pop up. This is what I used to secure the egg crate to the walls. It takes 4 strips, total, to secure it top and bottom. Then maybe another strip or two to get the edges. I forgot to update my fix for this, and has worked so far. I leave the one shooting window open all the time. I also hung a black Bed sheet to get behind. I just move the sheet to the side when ready to shoot.